Step 1. 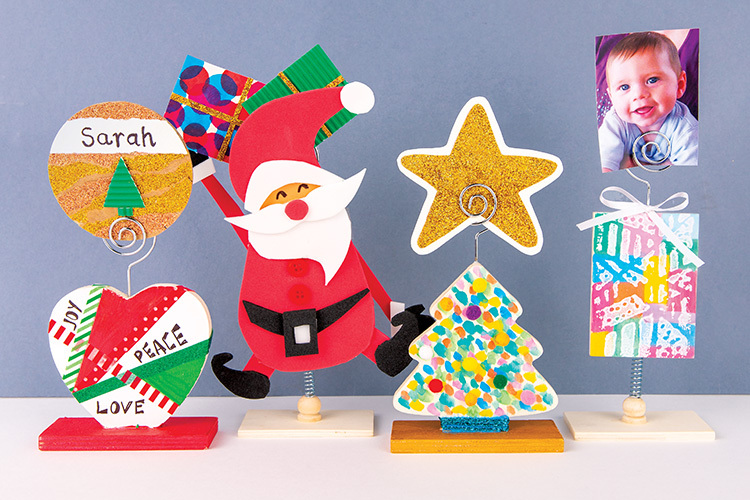 Cut clothing shapes from craft fun foam sheets to create your Christmas character. Step 2. Glue all the pieces together and glue onto a wooden photo holder (do not glue over the wire coil). Step 3. Add additional embellishments such as buttons and drawn-on features to complete your character.